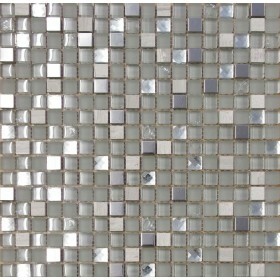 Tibet snow is a white, ivory, cream and silver mosaic with stone and glass pieces present throughout the mosaic. 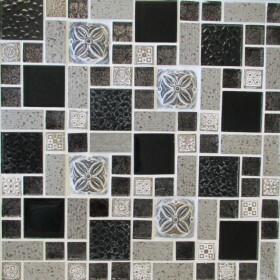 Quite a striking mosaic sheet and ideal to be used as a feature wall or border tile if choosing to cut into strips. Ideal for kitchens, bathrooms and en-suites and cloakrooms. These mosaics do not need sealing. Found exactly what I was looking for much cheaper than elsewhere. The speed of service was very quick and the delivery was very efficient - The driver tried to deliver, I got a call and the driver came back at a later time that day -so helpful.